Location: Oh, c'mon, everybody knows where Stuart Gardens is! It's on The Beach! Or it was, until somehow they made the beach disappear. Would someone please explain to me once more how a beach can be made to disappear - and WHY?!? 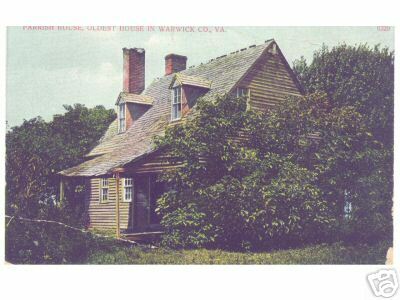 "Parrish House - Oldest House in Warwick Co., VA"
- eBay's caddie49 ( 155 ) of NN, VA - 04/21/04 - Dave Spriggs ('64) of VA - 01/06/04. Thanks, Dave! My mama and I moved here the summer before this first shot was taken. Notice her little 1960 turquoise Renault Dauphin in the background. The ground where I'm standing has now become additional parking for the apartments - which having been revamped, look better now than they did then. 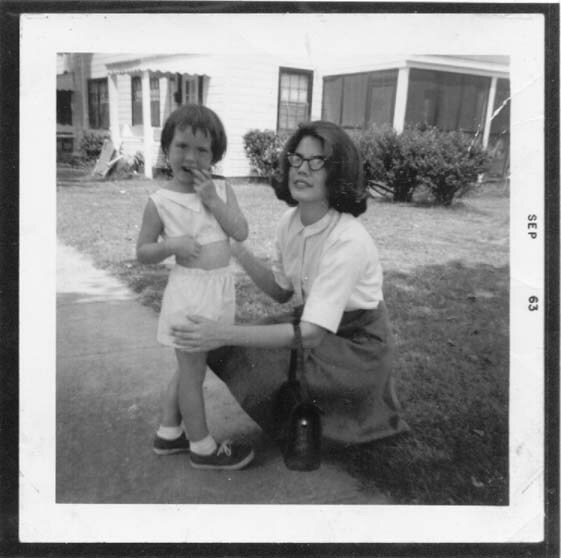 Mama and I lived here until October of 1967, when we moved to Hampton. to a larger apartment at 1126 Garden Drive. This was a very handy situation while it lasted. in the Newsletter would cause me to go out and get the 2008 image. 1354 Roanoke Avenue..... Like 1960, you can see just barely see the sidewalk leading to the entrance just where the sidewalk begins to curve, which does indeed face 16th Street. I loved the Stuart Gardens Apartments. You may remember Baba would let me stay up with you and her and watch the Twilight Zone - a privilege for me to be treated like a mini-adult. I remember Baba tying strings to "June Bugs" legs and my spending hours in the dark with friends I made there catching lightning bugs; your making a snowman with me, and the beautiful blue flowered hydrangeas. The funniest thing I remember (and you may have heard it a gazillion times) was the day Baba threw water on me. Just in case you haven't heard or forgot I remember I had done something bad ?? and seeing Baba angry, I bolted for the door with Baba right behind me. She threw a pitcher of ice cubed filled water on me which drenched my little yellow dress with a ruffled collar that probably made me appear to be innocent. There was a black lady all dressed up with hat and gloves and she loudly exclaimed, "Oh Lawd", something like, "How could you do that to that sweet child?!" Poor Baba, cold me, and the look on both that lady's and Baba's face - priceless! Baba brought me back in quickly and apologized and hugged me and let me wear something else while my dress dried and what I remember thinking is, "My grandmother is really, really fast!" I know at the most I was 7, but I'm thinking 6 and mischievous; it was before Mom and Dad separated. Have fun at your reunion! Be careful; as you know Newport News isn't as safe as it used to be. I just met a guy in our Wal-Mart who grew up there and he stated, "It's fun to go back to visit, but the crime is just too high for me." WILDEST GIGGLES!!! Shari, you are a hoot! I never realized you had such a gift for understatement! Until I met a couple of my own dear sweet angelic children, I think you were about the naughtiest little kid I ever met! You had an marvelous gift for making someone instantly mad enough to want to kill you, and to think they were doing the world a favor! HA-HA-HA-HA! I had forgotten that story - what a gem! And you're absolutely right - I remember thinking years later that Baba could have beaten me in a foot race when she was well past 75! I never had the nerve to put it to the test. I had forgotten the snowman story too - thanks for the memory! I remember those beautiful blue hydrangeas that we all loved so quite well. They're all gone now. Last fall when I took those last shots posted above, we had to leave quickly, as the police were there on a domestic violence charge. As we were speeding away, we heard gunshots fired, followed shortly thereafter by more sirens. SHEESH - all I wanted was a picture of what's left of my beloved Stuart Gardens Beach! Thanks, Shari! I'm glad we all let you survive! You're a rare jewel! I have some history in Stuart Gardens myself. While on summer leave from the Naval Academy in 1968, I hung out at John Bluxome's ('64) apartment on the water side of the 1000 block of Garden Drive. 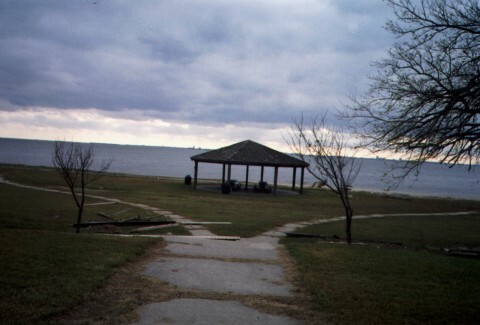 After I graduated in 1969, John Scull ('64 - of VA) and I rented an apartment for a short time, also on the water side of the 900 block of Garden Drive. at the intersection with Garden Drive. Lived there until May 1971. (Actually, I was at sea most of the time.) Back then it was a great starter apartment for newlyweds on a budget. I have several photos, but they show very little of the apartment as backdrop for the human (and dog) subject of the photo. 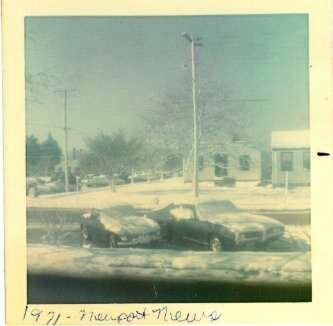 . .
(This) one looking out of my apartment across Roanoke Avenue pictures a snowfall and shows my wayyyy cool 1969 Pontiac and my wife's 1967 MGB. (The Pontiac is long gone, but the MGB is still in the garage and comes out to play on sunny days in the Spring and Fall.) Because of the snow, it is difficult to see the apartments across the street. (This) was taken in early 1971 from 1300 Roanoke Avenue looking south across Roanoke Avenue to the odd-numbered side of the street. I remember two of my family's addresses in the apartments in Stuart Gardens - 1288 and 1330 Ferguson Avenue (wasn't that name changed to Garden Drive?). 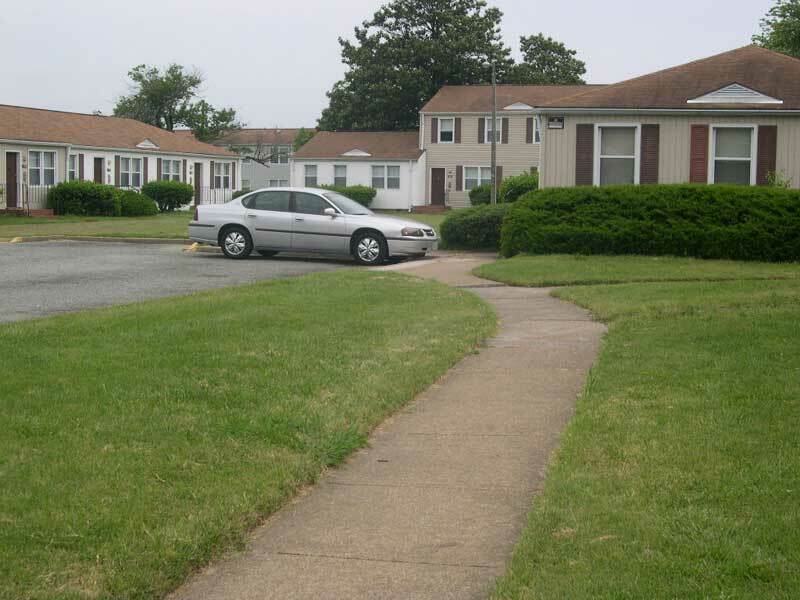 Mike Miller ('65 - of NC) and Todd Givens ('65 - of Northern VA) lived in one of the courts (1288 address I think) and the Fitzgerald boys lived in the other court about one or two doors away from my family. Bobby Fox ('63 - of IA) also lived a few doors down from us. We later moved to a house on 16th Street - 968, I think. 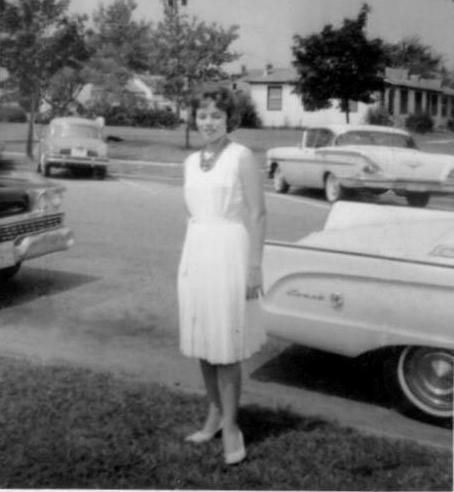 Mary Ruth Sanders ('65 - later transferred to FHS??) 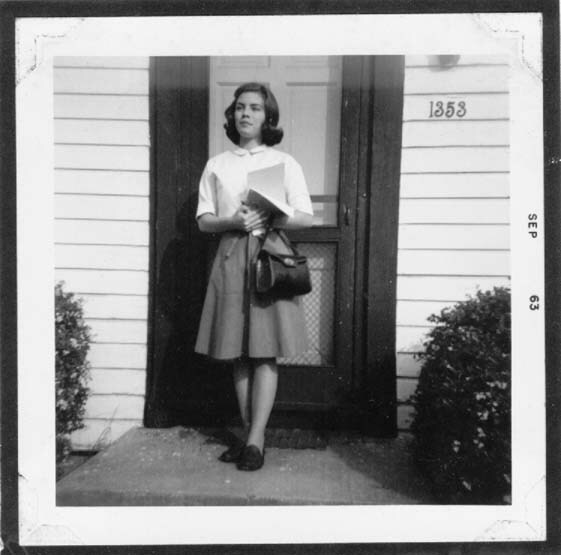 lived on 15th Street and I think Nancy Lewis (Vick - '65 - of KY??) lived on 14th Street. 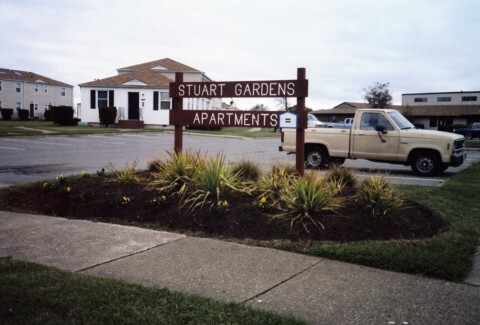 I may not always remember where I parked my car in the lot at the mall, but I DO remember fondly Stuart Gardens. WOWZERONI, Lady! What a memory you have! I am so wildly impressed! I had forgotten all about Garden Drive's former name! 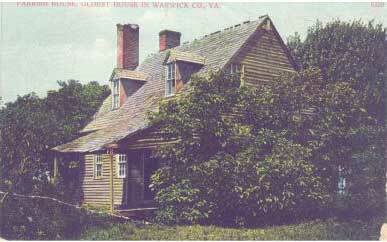 We lived at 1353 Roanoke Avenue, on the outside of the court, just at the street. The bus stopped right outside our apartment. Carol Lee Campbell ('59) lived in our same building, and Bubba Taylor ('61) lived further back in our court. 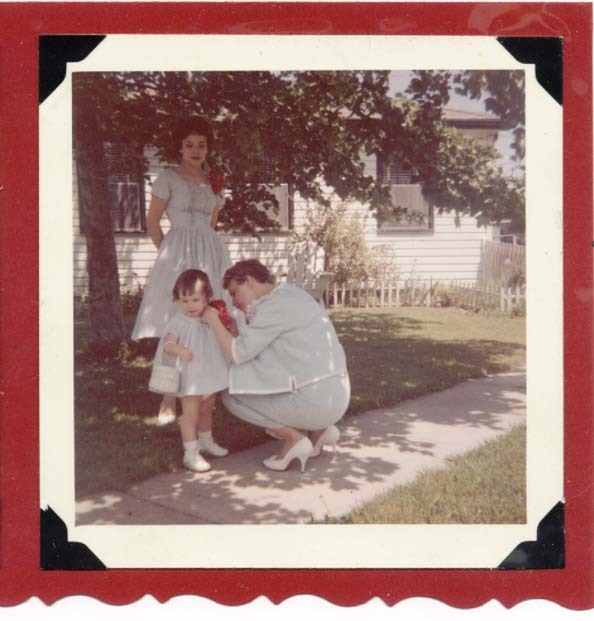 I think his sister, Sandra ('59), may have already married and moved away by the time we moved there. Several years later, the Levine sisters, Marlene ('64) and Joan ('67) moved to an apartment at the back of the court. The previous occupants of our apartment were Mr. and Mrs. Marks. I can no longer recall their first names. His name may have been Harry. She was a long-time employee of Nachman's. They had left a mezuzah attached to the portal to our doorway. I insisted that we leave it there. Mrs. Binder was the most remarkable woman I've ever known. During the persecutions around the time of the Russian Revolution, she hid out in the forests with her children for three years - a fact which boggles my mind each time I recall it. She spoke no English, yet I could somehow understand her meaning. I used to visit with her on her front step quite often. From time to time she would bake Mama and me delicious coffee cakes and bring them to our door. She would never enter our apartment; the mezuzah notwithstanding, she knew perfectly well that we were not keeping an Orthodox home, but she was one of the best neighbors we ever had. How I cried when she passed away! Mama took me out of school so that we could attend her funeral together. My goodness! As Jean Poole Burton ('64 - of RI) said just the other day, these are precious memories! Thanks for causing so many of them to flood over me just now, Debby! I lived across the street from Ms. (Rose) Binder on Roanoke Avenue, and across 16th lived Billy Bryant ('62). Down 16th lived Steve Sparkman ('63). They were both my good buddies. I think of them often. I was born in Stuart Gardens 836, the only house with 4 trees in the front yard....My house was on the corner when I went NNHS. I think it was 1225 Roanoke, Corner of 16th. The skating rink at Camp Stuart was named "Old Dominion Skating Rink." 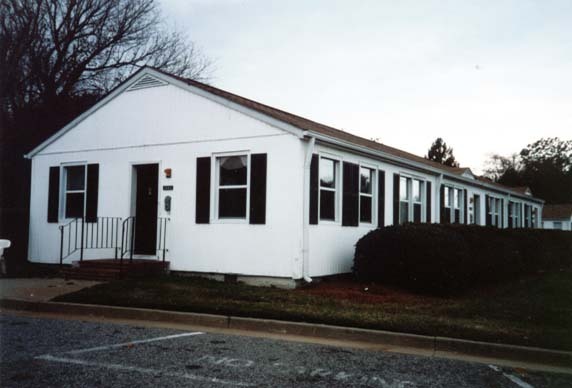 The building, a remnant of the WW-I camp, was located on the Hampton Roads side of 16th Street about 150 yards east of Chestnut Avenue. The Old Dominion Skating Rink is listed on one of the old WPA City descriptions which can be found on the internet. I expect it was slapped together soon after the National Guard moved out in 1937. You could get to it on the streetcar line which ran south on Chestnut Avenue, then east along 16th Street and over the Salter's Creek bridge to Chesapeake Avenue. I remember quite well the day the old building was demolished. That was probably in 1942 while the Stuart Garden houses were being built. A bunch of youngsters and I were standing across the street in front of a partially constructed new home. We were hoping to see some action. Someone with a megaphone began shouting for everyone to evacuate because dynamite was going to be set off. The other kids scattered, I slipped into the new house and hid in a closet just inside the front door. Nothing exploded, so in about 10 minutes I opened the closet door to see what was happening. Just then the dynamite went off, making an enormous bang and raising a cloud of dust. I felt something hit my chest and when I dared look I found a pea-size piece of concrete stuck there. This was not serious and I just plucked out. No need to tell parents. I remember first going to the upscale Briarfield rink when I was in the 5-high at Walter Reed. I wrote an essay about this event which my teacher, Miss Ruth Folkmann liked. That would have been in about 1939. Surely the Old Dominion Rink would have met its demise by then. Also near the Chestnut-16th Street Intersection (west side), down a remnant street from the Camp, was the clubhouse for the "Old Dominion Golf Club." When the Stuart Gardens project got under way, the clubhouse and golf course were bulldozed along with its several small hills. I don't remember much about the Hygeia Rink (Wickham & Hampton Avenue) except it was built during, or soon after the Stuart Gardens Shopping Center. 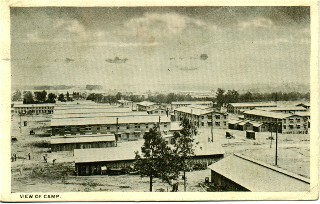 Probably during WW-II to serve all the new nearby homes. 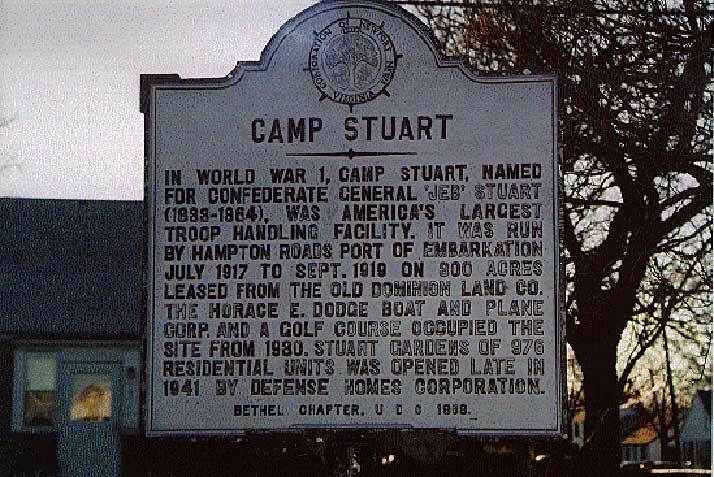 Few artifacts of old Camp Stuart can be found today. One very distinct item is an old building, said to have been the Camp Stuart Officer's Club. It survived, only because it remained inside the fence of the parcel that the Dodge Boat and Plane Co. purchased. I found what I believed was that building, relocated and converted into a large home on Shore Drive. Dave Spriggs ('64 - of VA) helped confirm that it is as I suspected. More on that story as it develops. I really appreciate your delineating all this for me, Fred! My family and I moved to the area in January of 1954, and I've always been very curious about the area's "past lives". 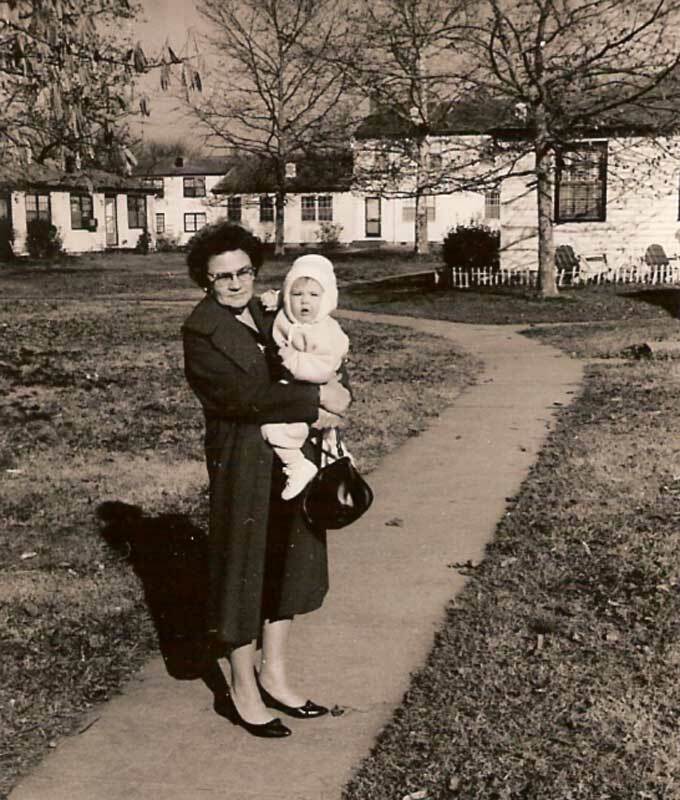 Joan Ownby Mathieson ('58 - of VA) wonders about when Stuart Gardens was built. I'm firm about construction being well in progress in Summer 1942 as I described in issue 6-20-09 about my brush with the dynamiting. In checking my records I find that the contract to build Stuart Gardens was signed in 1940. My guess is that the construction probably started in 1941 and was completed by late 1942. Prior to the onset of construction (about 1941) the only trees of any size were between what is now 16th Street and the water front. 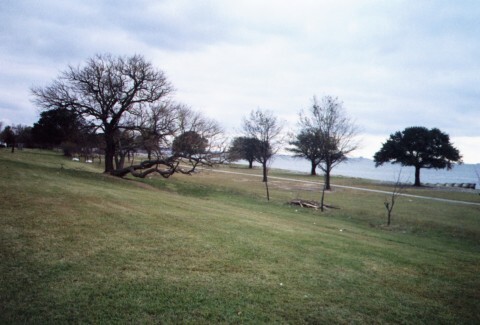 In 1918 the Army had left a strip of large trees along the bluff near the waterfront. There was not much beach front then. Between the bluff and the water were marshy wetlands, without much sand. In the construction of Stuart Gardens a vast amount of mud and sand were gobbled up by offshore dredges and pumped onto the mainland, creating a conventional beachfront and covering up remaining patches of low lying areas. By late 1942 the old trees were all gone and the landscape was leveled (even the small hills of the Old Dominion Golf Course disappeared). What I was less certain about was the construction of the Stuart Gardens Shopping Center on Wickham Avenue and the Hygeia Skating Rink across the street. Thanks again, Fred! 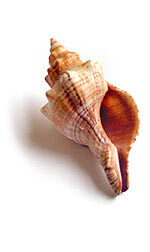 I find this knowledge of my beloved beach quite fascinating! ... A little tidbit about the Stuart Gardens Apartments - my father and a roommate moved in to the spanking brand new Stuart Gardens apartments when they opened-then he married and in came the wife and out went the roommate-that became 1066 Garden Drive (I believe it was Stuart Gardens Drive at first) where my sister and I grew up. My parents lived there until around 1972-my father loved it and never wanted to move-the sound of the waves hitting the beach, the fog horns at night and the view as we were on the water, the fishing, the crabbing and digging for clams-best childhood ever. Thanks, Jo Ann! I didn't really want to leave there myself!